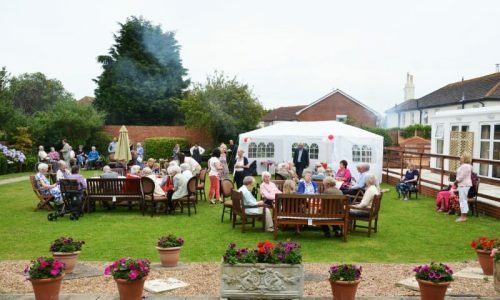 Brampton Lodge is a wonderfully luxurious hotel- style care home in the scenic seaside town of Folkestone with its magnificent harbour, sandy beaches, and friendly people. 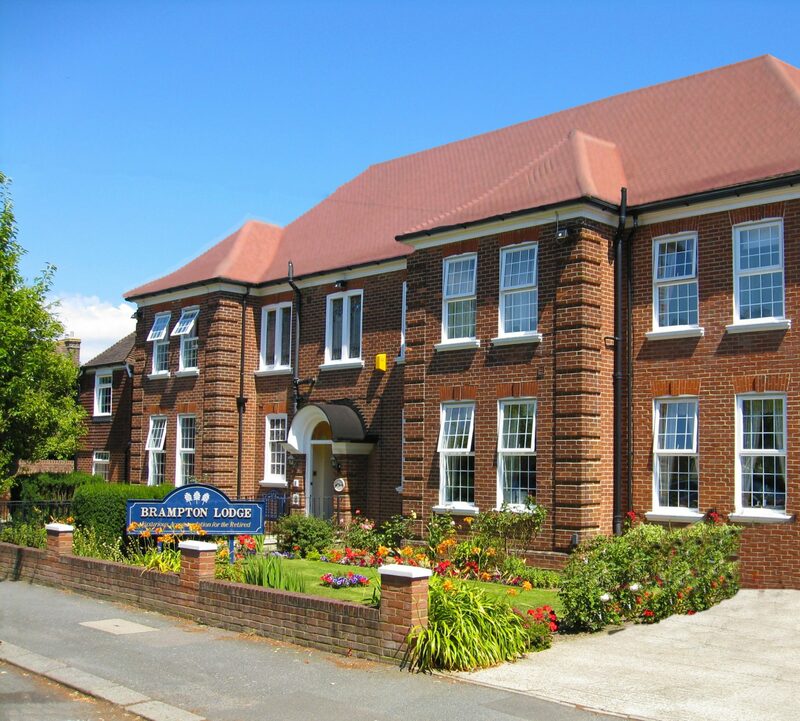 We aim to provide the very best facilities and care for all of our residents. A complete refurbishment took place in the summer of 2012. A further extension was completed in 2016 so we now have twenty-six en-suite rooms in total. The dedication and devotion of our highly-trained staff has established our reputation as an exceptionally ‘friendly and caring’ home. 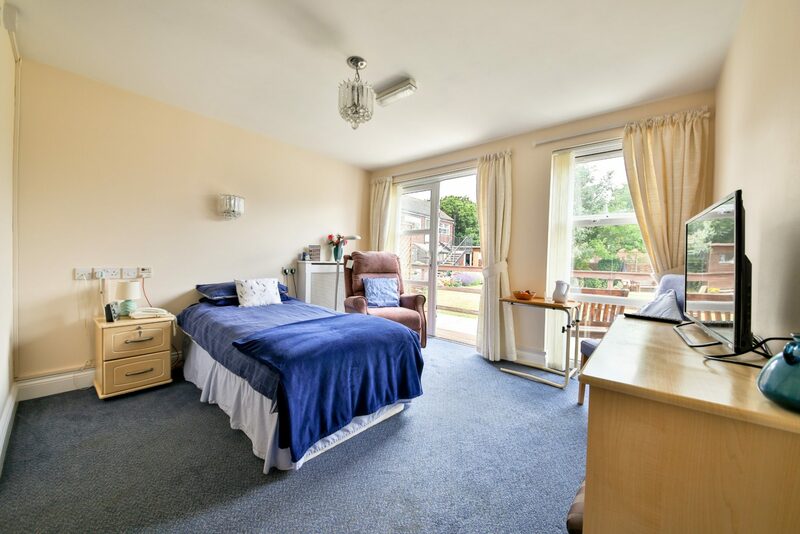 Our residents’ quality of life is greatly enhanced by the comfortable, warm and secure environment that Brampton Lodge provides. 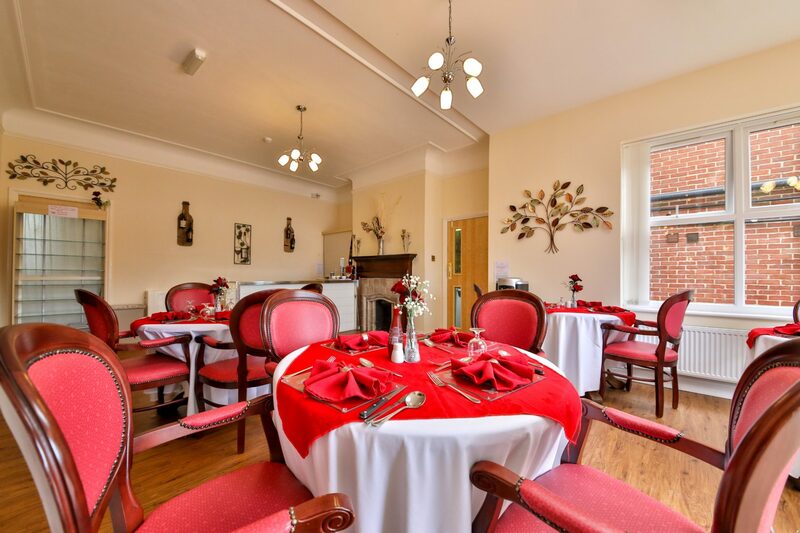 Brampton Lodge is a first-class, modern and tastefully- decorated care home. Our Residents can relax in our bright, spacious and comfortable lounge, overlooking a magnificent panoramic view of the charming landscaped garden at the rear of the home. 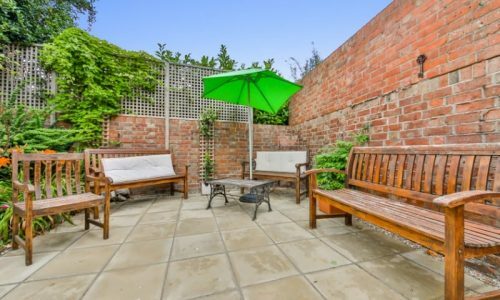 The beautiful grounds outside are perfect for enjoying the fresh air and delightful, picturesque surroundings. Brampton Lodge is famous for the gourmet meals prepared by our Cook, Wendy Varlow every day. The appetising, tasty and nutritious menu at Brampton Lodge provides our residents with a healthy and varied diet. Specific dietary requirements and residents’ preferences are catered for. 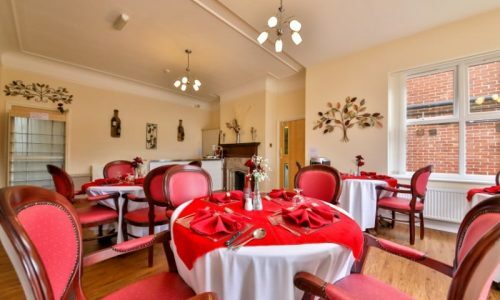 Meals are served in our lovely dining room, facing the beautiful garden but residents can dine in their own rooms if they wish. Our residents’ happiness and serenity is of paramount importance. Care programmes and activities at Brampton Lodge are designed accordingly, to support individuality and independence. Each resident is encouraged to exercise choice in all aspects of their care. I have visited several care homes in the past few years and Brampton Lodge is head and shoulders above the rest. Feels more like a small hotel. Staff smile and are very attentive. My mother is very happy here and has improved physically by a considerable amount since moving to Brampton Lodge. 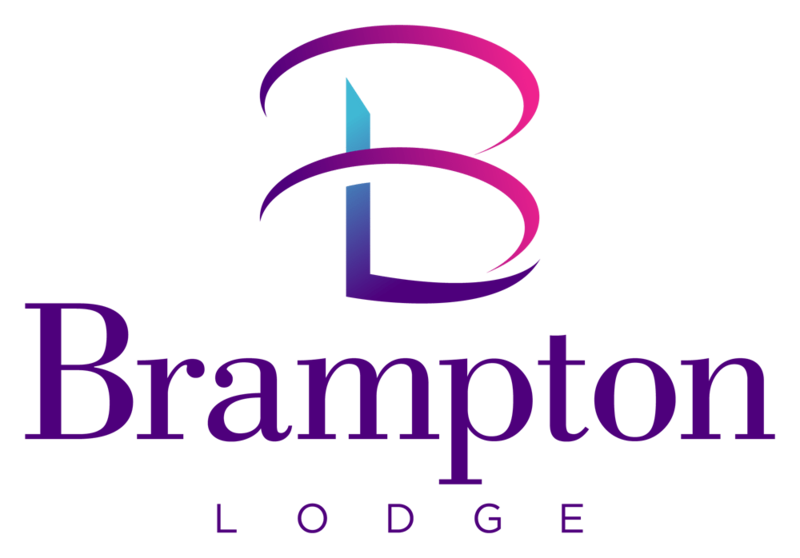 I have enjoyed my stay at Brampton Lodge, I cannot speak too highly of the kindness of the staff and of the care that they provide. If I need to return to care, I greatly hope that Brampton Lodge will be able to accommodate me.